Thank you very much Darlene!! Beautiful photos, Kirt. 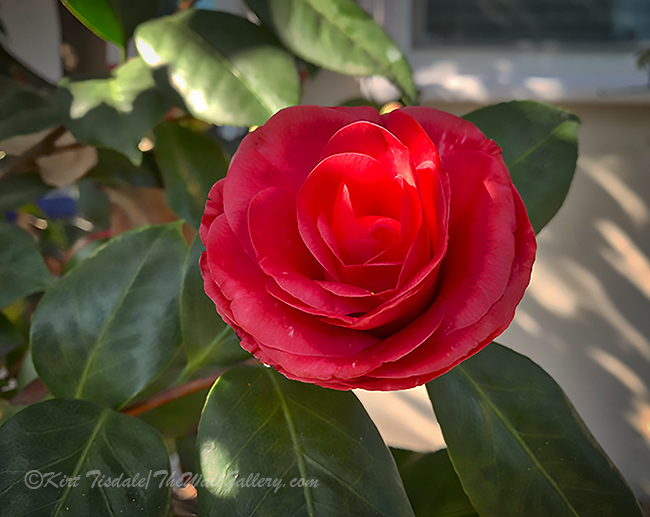 My mother loved Camellias, but getting them in Pittsburgh and later in Iowa certainly wasn’t an easy thing. I finally bought her some silk ones. 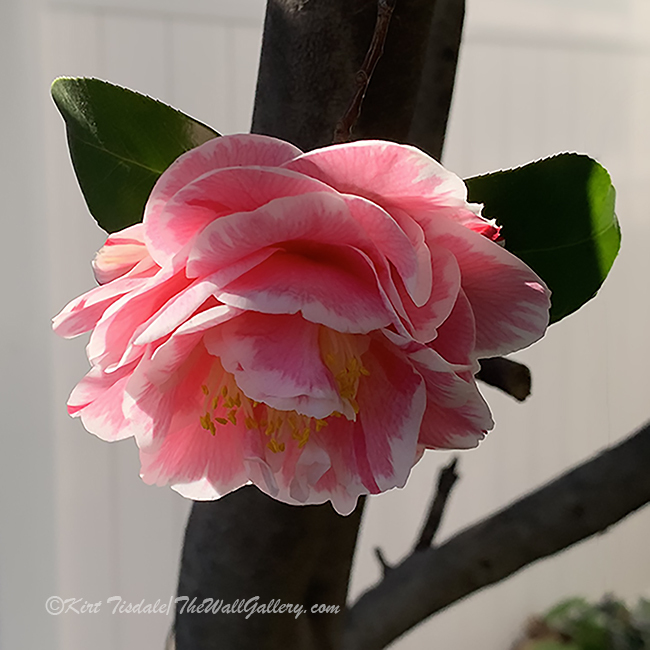 The landscaping with this house was over grown when we moved in last year and I have been trimming and taking out small trees….and realized what we had here….camellia trees…very mature…they are beautiful! Thanks for stopping by Dan…have a great week! They are so beautiful. They bloom in the winter (warm climates) and there is a wide variety of types. They grow to the size of a small tree or depending on how you trim them a large bush or shrub. Thanks for the feedback Michelle…..much appreciated! Have a great week! That is so beautiful! Wish I was there! We are coming out to Cali July 1-11th and we can’t wait! We will be staying in Anaheim at a rental house right next to Disneyland. I would love to spend the rest of the winter in Cali and then just stay all summer. 🙂 God bless! We were blessed living in North San Diego when our kids were growing up (just about an hour south of Disneyland)….we had season tickets to Disneyland and spent a lot of time at the park as the girls were growing up! I do like the winters out here….have a blessed week Ryan! Delightful images and flowers Kirt. 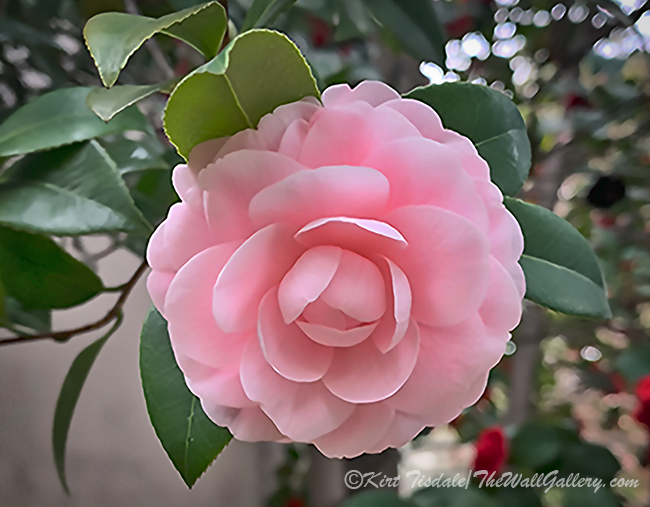 I hadn’t heard of camelia trees or blossoms. They look a lot like peony blossoms! I hadn’t thought about that Brad, but you’re right. Haven’t been around peonies since I was a teenager…..we use to have a sidewalk lined with peonies…Thanks for stopping by and have a great week! Kirt… let me get it out of my system before I explode… This post is really in the pink! 🌸 LOL. Seriously, what a glorious place your garden must be. These are gorgeous. 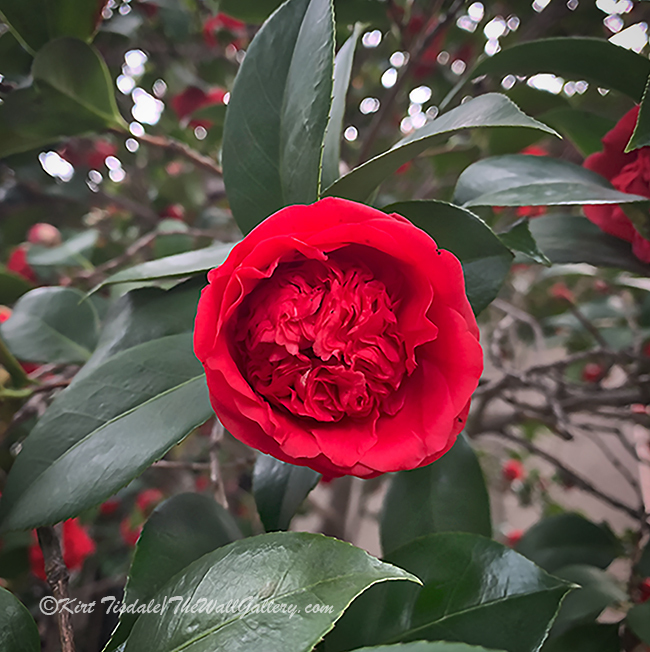 My ignorance is in full bloom… I didn’t realize camellias grew on anything larger than a bush. Marvelous post. Thanks for the feedback…..honestly I didn’t either Teagan….I always thought they were just bushes. 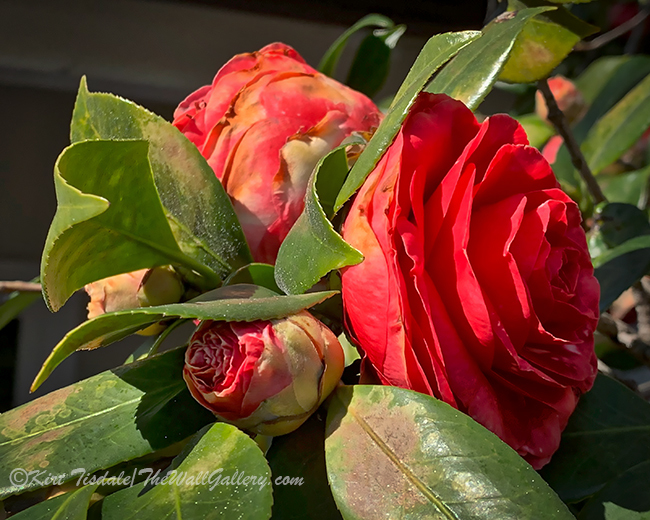 In all the years we lived in San Diego we never had any and I never thought about it until a few years ago when I saw them in bloom at our daughters house…the only common denominator is that both homes (ours and theirs) have mature landscaping. I was thrilled as I was cleaning and trimming some of the over grown landscaping and realized what was there…they are stunning in full bloom as we speak! Thanks for the feedback and for stopping by! Thank you very much Linda….I appreciate the compliment! Thanks for stopping by!! So gorgeous, beautiful in red and pink! They do look like peonies. Thank you for sharing these beautiful photos. My pleasure and thanks for stopping by Amy!! Stunning. So very beautiful. I’m going to reblog this so even more people can see your wonderful photographs. If it’s not okay…just let me know and I’ll take it off my blog. 🙂 Truly gorgeous. I appreciate the reblog !! Thank you very much! Thank you…we’ve lived in So California for over 25 years and this is the first house we’ve lived in here that has them, let alone mature ones. We are really enjoying them. Thanks for getting back to me. I love the Pacific Northwest!! Oh! Number four is calling my name 😉! Thanks Lorrie and thanks for stopping by!! Have a blessed week! Oh how I love camellias! #4 and #6 are gorgeous! 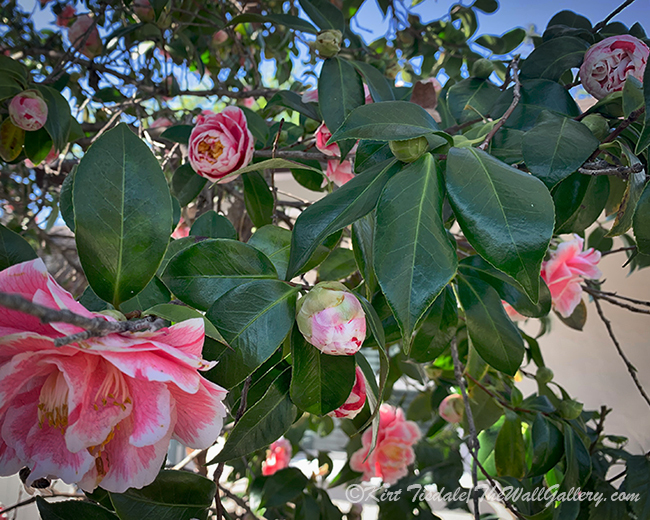 Thanks Nancy….I was so surprised to find mature Camellia trees….love it! !